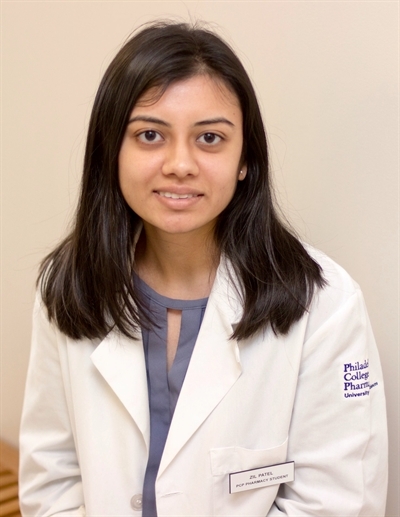 Philadelphia College of Pharmacy 2018 PharmD Candidate, Zil Patel was recognized at the American Society for Parenteral and Enteral Nutrition (ASPEN) Conference last January. Zil was selected as the inaugural recipient of the ASPEN New Practitioner Award for the Student Section. Her achievements and contributions to research in clinical nutrition led to her receiving this prestigious honor. She was given the award in the Student and Pharmacy Section Meetings at the ASPEN Nutrition Science and Practice Conference. This national award recognizes her substantial contributes to the field of nutrition support and her commitment to further the science and practice of clinical nutrition. Congratulations to Zil and her research mentor Dr. Angela Bingham!